Just a quick trip West, Dallas To Fort Worth Limousine Rental Services Transportation has a vehicle for you! 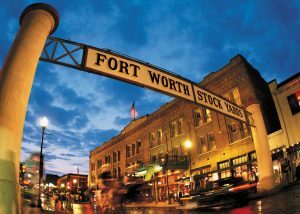 From the Stockyards to some of the amazing Art Galleries, there is something for everyone in Fort Worth. Book your hourly rate services for a day trip and a ride back at the end of the night. 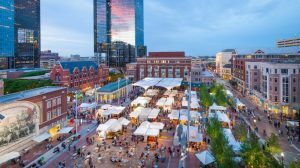 Fort Worth is not that far away, so take up to 10 passengers for your day trip and relax and enjoy the drive in one of the Limos. In a Party Bus, you will definitely get to Fort Worth before you know it. Available for all group sizes, blast some music, have a drink and enjoy fun with family and friends. Just a few of you? No worries, we have you covered with Luxury Sedans that fit up to 3 people to get you to your event in Fort Worth. Do you have more that 3 people? Mercedes Sprinter Van is your best and only choice for small group transportation to Fort Worth. Check out our affordable rates. Shuttle Bus starting at 20 passengers and up for the quick drive over to Fort Worth for your celebration or day event.